I would like to introduce you in a new category of post: the wine tasting! 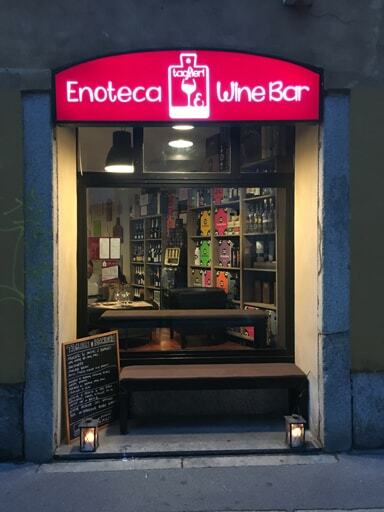 I want to realize a guide of the best wine bar and restaurants so you can try them. Did you ever find a bar or restaurant with a good list of wines? I’ll show you only the best! Tuesday evening I went to “Taglieri e Bicchieri” in Milan (Italy). It’s a small location but very interesting, in a strategic position because in a few minutes you can reach the Dome or the Castle. 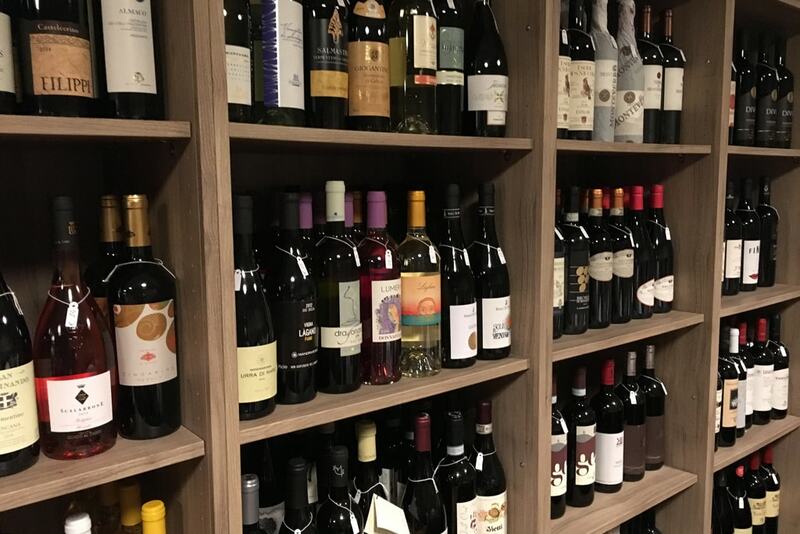 Here you can find a lot of particular Italian wines that you can combine with cured meats and cheese. This is the peculiarity of this location! Last evening, there was a free wine tasting of Vicobarone Winery. Do you know it? It is a winery near Piacenza (Italy). Since 1960, the main grapes are Barbera, Bonarda, Malvasia and Ortrugo. Here winemakers use natural fermentation methods, so they can obtain an high quality and typical wines based on ancient traditions but also focused on the new generations. 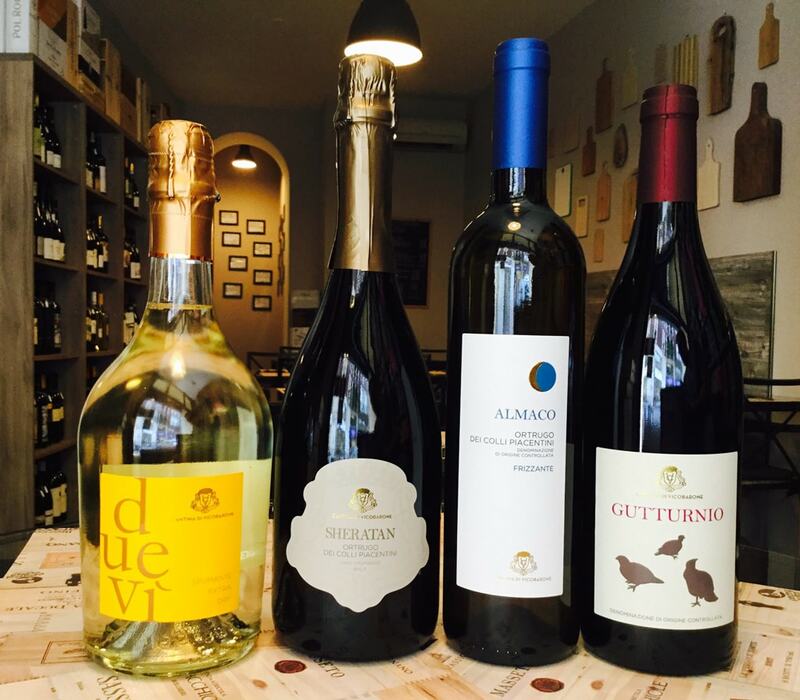 GUTTURNIO Frizzante DOC – Barbera 55% and Croatina 45%. Now I give you an explanation! The first tasting was DUEVÌ Extra Dry that is a spumante made up Pinot Noir and Chardonnay. It has a thin perlage and a great bouquet with strong fruity notes. You can drink it in aperitif and combine with summery starters. SHERATAN Ortrugo Brut is 100% Ortrugo with fine and persistent perlage. It’s a sparkling wine of intense straw-yellow color. You can easily combine with aperitifs and starters. The third wine is ALMACO Ortrugo, another 100% Ortrugo. The grapes are vinified using a method that exalts the varietal characteristics, obtaining a fresh wine, sapid and persistent with pleasant floral and tropical fruit notes. It can be combined with aperitif, cured meats and shellfish starters, white meat based second courses. The last wine of the tasting is GUTTURNIO Frizzante DOC. It contains Barbera and Croatina grapes. It’s ideal for cured meats, white and red meat (roasted or boiled), medium aged cheese. I could have decided to combine these wines with cured meats, cheese or fish and I chose for carpaccio fish. The wine that i liked most was ALMACO Ortrugo! It has been a great tasting! I inform you that there will be other events as this in the next months. 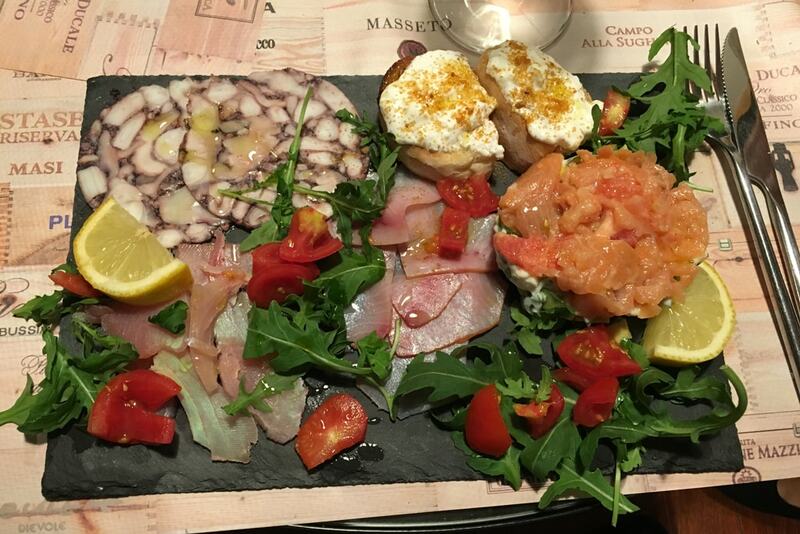 If you spend time in Milan, you should absolutely go to “Taglieri e Bicchieri“, via Anfiteatro 4 – Milan. Let me know with a comment if you like this post!